We hunger for relationships and a spiritual community where we can bring ALL of ourselves—without fear of judgment or exclusion. We’re connected by our common longing for an authentic and safe place for our spirituality. or else no heart at all. or else no shoes at all. or else no face at all. If God could lay out a feast for you that fed all the deep hungers in your heart, what would be on the table? 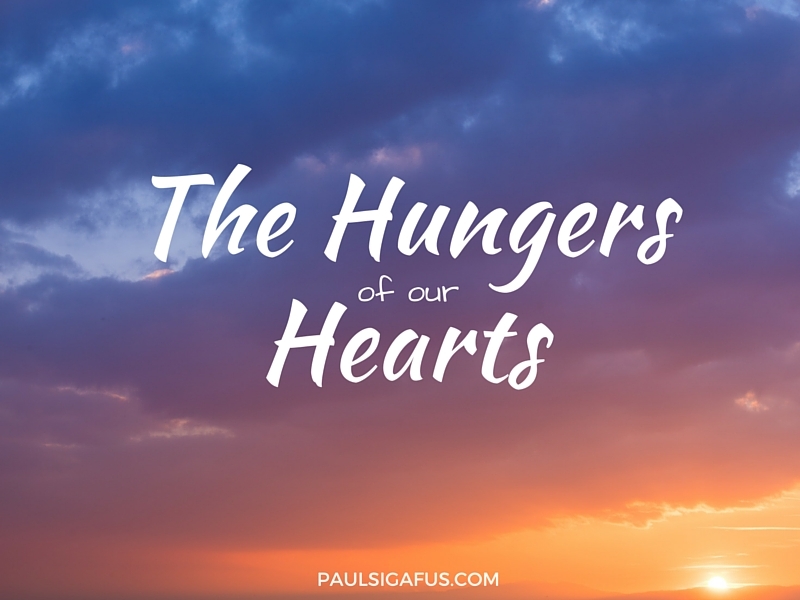 What does your heart hunger for? I’d love to hear your answers below! I would want God to give me someone that TRULY loves me. I have had boyfriends when I was young and a husband for 35 yrs , now a widow. But none of them have ever told me they truly truly love me. That they think of me always and I take their breath away. This has never happened in my life time now I am getting to old (69) to find anyone like this. Maybe I watch too many movies but I see people around me finding happiness all the time. This is what hungers my heart.